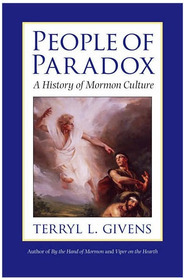 "The Givenses are never confrontational or aggressive in their presentation of Mormonism’s contribution to the discussion nor do they ever whip out a trump card of why the Mormon perspective is to be crowned king. The result is a very readable, reasonable and thought-provoking experience." "Whether by design or by chance," Terryl and Fiona Givens write, "we find ourselves in a universe filled with mystery. We encounter appealing arguments for a Divinity that is a childish projection, for prophets as scheming or deluded imposters, and for scripture as so much fabulous fiction. But there is also compelling evidence that a glorious Divinity presides over the cosmos, that His angels are strangers we have entertained unawares, and that His word and will are made manifest through a sacred canon that is never definitively closed. What we choose to embrace, to be responsive to, is the purest reflection of who we are and what we love. That is why faith, the choice to believe, is in the final analysis, an action that is positively laden with moral significance." As humans, we are, like the poet John Keats, "straining at particles of light in the midst of a great darkness." And yet, the authors describe a version of life's meaning that is reasonable—and radically resonant. It tells of a God whose heart beats in sympathy with ours, who set His heart upon us before the world was formed, who fashioned the earth as a place of human ascent, not exile, and who has the desire and the capacity to bring the entire human family home again. “The God Who Weeps is an elegant meditation on the basic tenets of the Mormon faith. The Givenses write with precision and poetry. Their literary and religious references are unusually rich and varied: they include the classic texts of the Bible, early Christian thinkers, Enlightenment philosophers, Romantic poets, German theologians, Russian and American novelists—and many, many more. The prose is at times urgent and even soaring. I understand and agree with the criticism of the eye-rollingly self-indulgent writing style. This is a real bummer. I recommended the book to a friend, but he told me he couldn't finish it for this reason. If something can be said with 5 straightforward words, then the Givens will say it with at least 100. In fact, "Fiona-izing" your own sentences is a fun game to try: Why say "God loves all of us" when it's so much more fun to say: "The sun, that distant burning fiery celestial sphere of plasma and fusion set ablaze amidst the heavens beyond our realm of present experience and comprehension, sends forth its vibrating photons and infrared energies through the vastness of the void planetary orbital planes to incite the neurons of the brain connected intricately to the golden epidermis of one's nape of one's neck, activating memories of a long lost but familiar blissful assurance of eternal divinity transcending this transient frame of flesh and blood. And thus we cannot see, yet are certain indeed, that God sheds his love forth upon all the souls of creation's dream, both living and dead, though ordained to rise again in the morning of the first resurrection." 1) To give the benefit of the doubt to the Givens, I think the writing style is meant to convey their intense passion for the message. It's silly and it misses the mark, but I can forgive them for it (haven't gotten to "Christ Who Heals" yet, but if God truly does answer my prayers, then they will have toned it down). 2) I actually do like the message of this book. It's wonderful and has the power to repair and re-calibrate the perspectives of depressed souls. Probably lots of people out there will read this, maybe have a good cry, and feel lots better about things. I also mostly agree with the Givens' desire to remedy some negative effects (however innocent and unintentional) of LDS culture and tradition. 3) Fiona's voice and accent are sublime. I could go to sleep to this audio book every night, and I'm not being facetious. Please audition to be the next Siri. I listened to this book while on a beach vacation. Each morning as I walked on the beach I contemplated the beautiful theories about the plan of salvation and how God loves each one of his dear children. I cried a few times listening to it. Fiona’s voice is so soothing, peaceful and smooth in her British accent. I could listen to her speak for hours. This was the first of the Givens’ books I read, and eventually had to read all. Their philosophizing and including quotes from scholars, poets, and saints alike makes this book priceless. Maybe listening to it is easier than reading it for those who think it is a hard read. But so far I have loved all of their books because they make me pause to think, and I’ve learned a lot from them. I have had questions about the atonement for ever! This book puts voice to those questions and and offers well reasoned and thoughtful answers. One of the most inspiring and profound Gospel books I've ever read. A few reviewers have surprisingly said the prose is too difficult to understand, but I found it a refreshing change from the standard stuff. The authors have deep thoughts that require a rich language to convey. I absolutely loved this book. I actually bought the audio book, and I'm planning on buying the paper edition. It has earned a place on my bookshelf, and that is saying something. This book was a great boon to me in a time of great personal trial. I appreciate so much the insight and faith promoting words of this work. It is intellectually full and deep, and quite frankly, that was a great deal of the attraction for me. Highly recommended! Review	The Good Who Weeps is my first experience with Terryl & Fiona Givens' writing, and it won't be my last. They did a beautiful job at distilling the very essence of the LDS understanding of things such as Sin, Salvation, and the true nature of our relationship to God the Father and His son Jesus Christ, among other important topics. Their near seamless intertwining of scripture (both modern and ancient) with the thoughts of some of he world's greatest religious thinkers and writers through out the ages should give non-LDS Christians and non-Christians alike pause for thought about the creeds to which their faiths' may subscribe versus what they themselves may intuitively believe. The God Who Weeps was a spiritually uplifting and gratifying read which served as a solid reminder to my soul why I believe the way I do. There are many excellent 4 & 5 star reviews of this bookon Goodreads that go into greater depth than I desire to do at this time. Please, take time to peruse them. 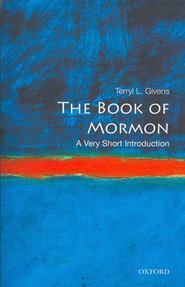 Multiple times while reading this book it was me who was weeping as I came to see God's nature and my relationship to him in new ways, and as I came to understand that the truths I believe in most fervently about God, the Plan of Salvation, and human nature, are uniquely LDS doctrines. It's a beautiful and inspiring book. There are many quotes from literary and Christian history sprinkled throughout the book. Occasionally I felt that the Givens's writing was so powerful that the quotes didn't add to it, but it's also really affirming to see how the light of Christ has led these people toward the truth about God's nature and sometimes they express it in profound ways. I am truly grateful for this book and the beautiful way it teaches about God's nature and our relationship to him. I was sad to read the reviews of those who didn't get much out of this book. 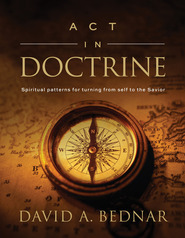 It was one of the best books I have ever read on the subject of Heavenly Father's relationship to his spirit children. I do not have a masters or doctorate degree, but I am a deep thinker when it comes to the gospel so I appreciate profound insight, particularly when it is sound and not meant to be sensationalized. I can understand why some feel the book is written for intellectuals. Some of the language takes repetition to comprehend. It is reminiscent of the writing and speaking style of Elder Neal A. Maxwell, whose beautiful, metaphorical expressions often required some dissecting. So, in fairness to some of the other reviewers, it isn't what I would call an easy read and it wouldn't be the best choice for someone looking for a quick, cover-to-cover-in-a-day kind of book. It took some work to get through. But I wouldn't describe it as being only for the highly educated, either. There is so much good material in this book, and the language is exquisite. I came away feeling greatly enlightened, having a much clearer vision of the Plan of Happiness. I couldn't wait to recommend it to my friends and family. In my opinion, well worth the time. 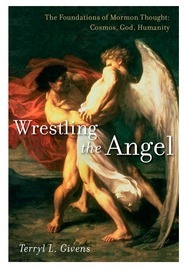 Hands down... One of the greatest books Deseret Book has published! This book has helped open my heart to new depths, understanding and comprehending the indescribable love of God. 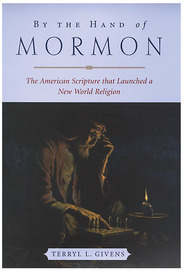 This book has been praised by some of the greatest scholars of Mormonism, rightfully so. Beautifully written, we're given insight from the ages.. masters of scholarship and philosophy are brought into a single view... "God’s pain is as infinite as His love. He weeps because He feels compassion... it is not their wickedness, but their “misery,” not their disobedience, but their “suffering,” that elicits the God of Heaven’s tears. Not until Gethsemane and Golgotha does the scriptural record reveal so unflinchingly the costly investment of God’s love in His people, the price at which He placed His heart upon them. There could be nothing in this universe, or in any possible universe, more perfectly good, absolutely beautiful, worthy of adoration, and deserving of emulation, than this God of love and kindness and vulnerability... In the vision of Enoch, we find ourselves drawn to a God who prevents all the pain He can, assumes all the suffering He can, and weeps over the misery He can neither prevent nor assume." What wonderful insights into the nature of god. I would highly recommend this to anyone! I bought this book with great hope that it would be the spiritual experience I anticipated. Frankly, I could not read past chapter two. I found the book requires a PHD/or Masters Degree to interpret what the author is saying through the language used. It is not written for the person who enjoys a read that is easily understood. Beautiful, logical and increased my understanding of God's perfect love. Wow! Bought 12 of them as small Christmas presents... read it 3x in 2 weeks. I purchased this book at Christmas for my wife. She read it from cover to cover, but repeatedly kept telling me that she wasn't enjoying it. I had a hard time believing her because of the great reviews. I recently picked up the book in order to discover for myself whether her assessment was accurate or not. I read the Introduction and then Chapter One. I found the content to be flowery nothingness and a great disappointment. I have an extensive church library and cannot remember ever being so spiritually disappointed in a books content that I have decided it would be in my best interest of time to close it and not pick it up again. Sadly, this has been the case! Geoff's review echoes my sentiments. For me, there were many "I never thought of it that way" moments with perspectives and ideas that were profoundly inspiring. “The God Who Weeps” is beautifully written and enriched by many literary and philosophical references that otherwise would be unknown to the average reader but are perfect complements to each subject or conversation. It is both logical and emotional. For those whose reason suppresses their faith, I can’t help but think this book would gently persuade them to rethink, redefine and return to who they really are. I loved this book. An eloquent statement of LDS beliefs about God's relationship to us. This is truely an eloquent discussion of LDS beliefs, a very thoughtful and perceptive analysis of our relationship with the Divine....a loving God who has our best interests at heart. 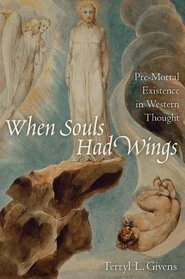 This is beautifully written with numerous references to philosophers and poets to help give added depth to the arguments and discussions. The book seems to gain more insight and depth as it goes on with the last chapters rich and fertile ground for thought and insight. A few have commented about the 'intellectual' nature of the book but I disagree, the authors adequately explain their inclusions which dispels, for me, any need to feel distant. The authors need congratulations! Written by intellectuals for intellectuals. I collected a few good gems from the book, but most of it was above me. I read a lot, but this book really challenged my comprehension. Great title, that's why I bought the book. I had only read the Excerpt on this book.It truly touched my heart.Sometimes as humans we forget who we are,and where we came from. To understand that indeed God weeps at our sorrows,and that he truly understands how we feel,is not to humanise him,but makes him more accesible to us. To say as the scriptures attest,"for now we see through a glass darkly" brings home to me how we can overcome that darkness as we walk into the light of his love. I will be purchasing this book. The language is breathtaking and glorious,like precious pearls,made more lovely as we read it.Thank you. We worship a God who weeps! Once you get to chapters 3-5 you can't put it down! Amazing thoughts on who the God we worship is and how he LOVES his children~~US! AND...How he wants us to be HAPPY! In the MP3 audio version, Fiona Givens reads the book that she and her husband have authored. The beauty and depth of the insights are well matched by the beauty and eloquence of Fiona's voice. Reading/listening is a marvelous and moving experience. It is one of the best books I have ever encountered.